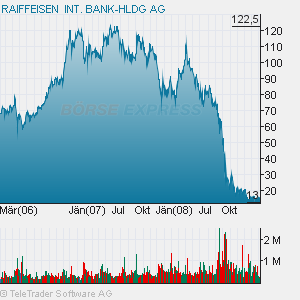 Raiffeisen International (RIBH) is a bank holding company that does all its business in Central Eastern Europe (CEE). This region was particularly hard hit when the economic crisis stopped capital flows into CEE. The different national economies are still in the grip of a severe contraction, but the worst outcome seems to be averted at least for now. Economists and financial experts thought financial institutions with strong exposure to CEE could suffer huge losses. If national economies were in danger of defaulting on their balance of payments accounts the only way out would be a steep currency devaluation. This would drive foreign currency loans into default and financial institutions towards insolvency. Luckily this horror scenario has been avoided so far. Regional currencies have stabilized and the decline of CEE economies has slowed. Though the situation still bears significant risks. Today Herbert Stepic, CEO of Raiffeisen International (RIBH), presented operative results of his company for the first half of 2009. RIBH about the size of a large regional bank in the US with a balance sheet of about €77 billion does all its business in CEE and therefore serves as litmus test for the credit performance of this part of Europe. Stepic himself pointed out that the firm was resilient in light of economic headwinds and offered €78 million profit as proof. 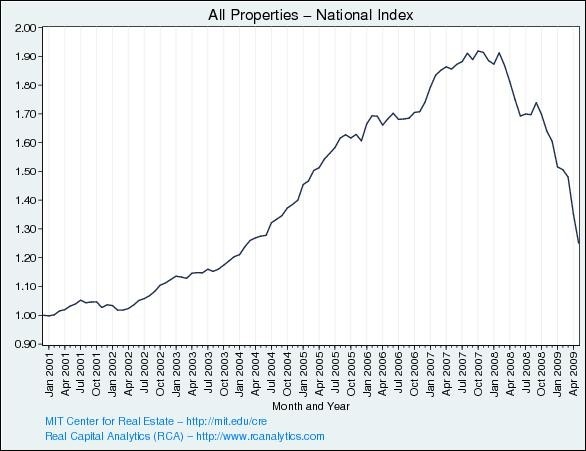 This was down about 86% from last year mostly on currency effects, a global recession and massive increases in loan loss provisions. 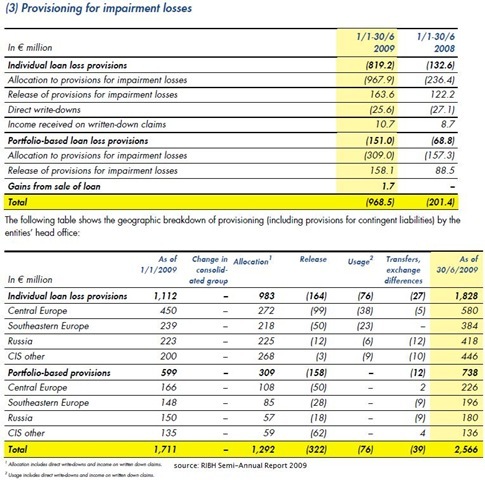 All regions, Central Europe, Southeastern Europe, and Russia reported lower net income and higher provisions. For the first time results were negative for GUS Others (Belarus, Kazakhstan, Ukraine). Provisions were particularly interesting because of continuing concerns about credit quality in CEE countries. 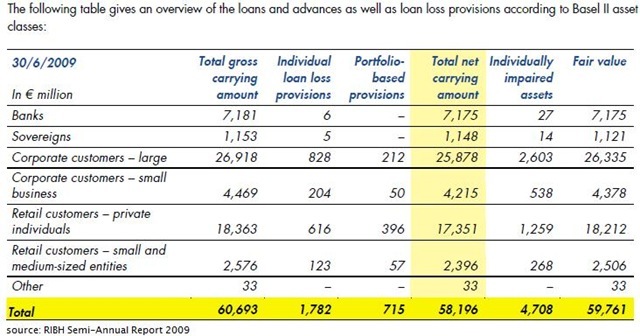 Certainly an increase of 380 percent in provisions for loan losses is nothing to be proud of, total allowance has now reached €2.5 billion, but RIBH seems to deal with the situation which is bad yet not out of control. The continuing involvement from international institutions like the IMF, EU, WB and EBRD has certainly helped to alleviate some of the worst fears for CEE and its major debtors. America is leading the way, and Europe follows. But is it really? A few days ago the Federal Reserve published results of its Supervisory capital Assessment Program (SCAP). Although received with plenty of criticism it revealed a rather robust capital position of America’s largest financial institutions. Only a few of them are in need of fresh capital, if the economy were to worsen significantly. According to the results it is likely that concerned banks do not need any more tax payer funds to meet their requirements. EU-Finance Commissioner Joaquín Almunia wants a stress test for European banks and financial institutions. Unfortunately this European version will be less transparent and less scrutinizing. A capital adequacy test will be applied only to the financial system as a whole and does not concern individual financial institutions. The question will be answered if financial institutions in general will be able to withstand a worsening of the financial crisis. The council for Economic and Financial Affairs (ECOFIN) contrary to Mr. Almunia wants the results of the stress test not being published. The question bears to mind which member states and their finance ministers do not want the health of their financial institutions being revealed. One cannot help but speculate that European financial institutions are in direr straits than their US counterparts. If there is only one result coming out of this half secretive test it will be this.